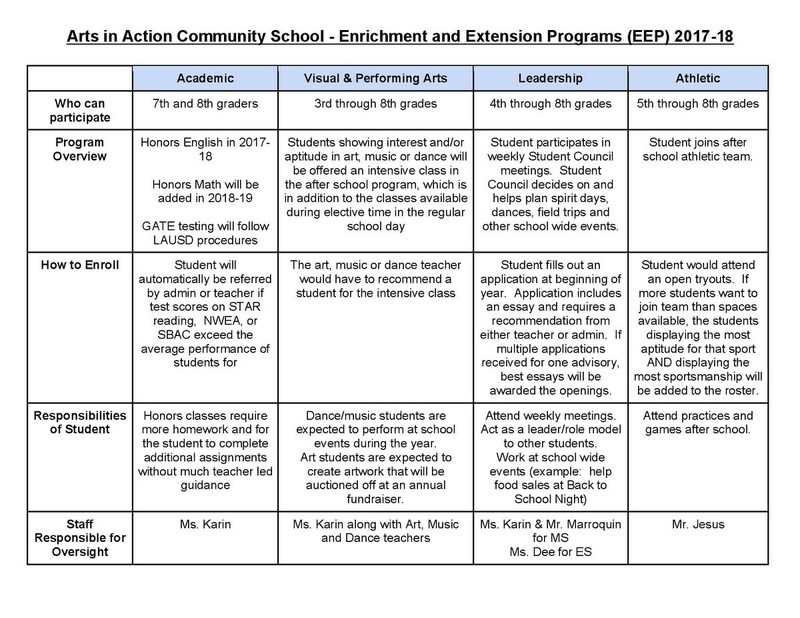 The purpose of the Enrichment and Extension Program, formerly known as High Achievement Program (HAP), is to inspire students to excel academically, socially, emotionally, and in the arts. The program will be comprised of in-class support and out-of-class enrichment opportunities including special guest speakers, field trip opportunities and special project based learning activities. The program is intended to provide a higher level of challenge to students who demonstrate high achievement and who would benefit from targeted instruction to continue their growth.